Running without listening to your favorite tracks can get boring, which is why you should always bring the best earphones with you while you exercise. When you choose the best earphones for running, then there are factors to consider like sound quality, price, fit, battery life and wireless connectivity like Bluetooth. Luckily, you’ve stumbled upon this page as we’re about to give you a guide on how you can choose the right earphones for running from the Philippine market. We’re also going to introduce to you our top recommended running earphones in a ranking format so don’t forget to check that out. In this segment, we’re going to help you in that regard. Let’s check out the different factors to help you choose the best earphones for running. 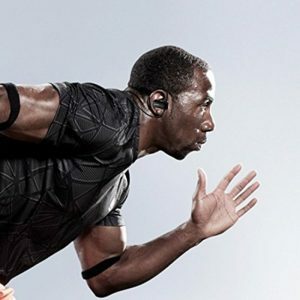 Many runners recommend using wireless earphones while running. The reason behind the suggestions is because of the absence of a cord. It’s still a choice to choose wired earphones for runs, but the cord can get in the way. 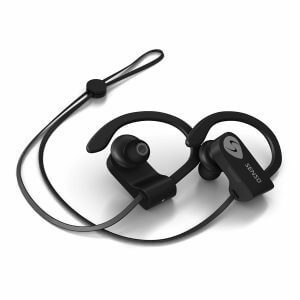 Most wireless running earphones employ the use of Bluetooth technology for the connection. 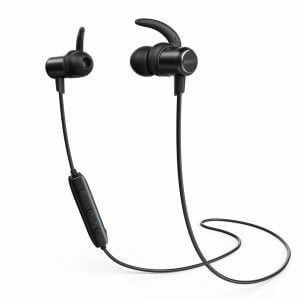 There are different wireless earphones for running and sports activities on the market, and there are some that are true wireless types that don’t have a neckband or cord connecting the two earpieces together. Choose your best type according to your preferences. Loose earphones are troublesome while you’re running, so it’s essential to choose a pair that won’t move around even with the most intense of exercise sessions. Let’s take a look at the different types of earphones on the market based on their fit. Many running earphones on the market have an in-ear design. The fit should make for proper sound isolation to effectively shut out most of the ambient noise. If the fit isn’t good enough, then the use of optional ear tips may be a requirement. In-ear running earphones are a good choice if you want to concentrate on listening to music during your runs. However, keep in mind that the sound isolation can make you unaware of incoming traffic. Always be careful of traffic and other obstacles when you’re running outdoors while wearing these earphones. One option is to use a mono in-ear earphone so you can still hear traffic and other noise in your surroundings if you’re concerned about safety during your runs. Earphones employing hooks allow runners to listen to their favorite tracks without worrying about losing it while running. However, this type is not suited for runners who wear eyeglasses and sunglasses. 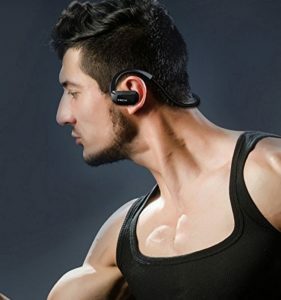 Enter neckband running earphones wherein these models don’t use a cord neatly connecting the two earpieces together. The band offer a fixed fit and won’t get in the way of your running. Check if it has a neckband after you decide the type of earphones above. If the earbuds are too heavy, then there’s a high chance that users will experience a loose fit while running. The resulting scenario is that runners will constantly try to fix the fit which makes for an uncomfortable and uneasy experience. Lightweight earphones like true wireless earphones can rectify that issue. Consider the weight of the device before purchasing to ensure a secure and comfortable fit. 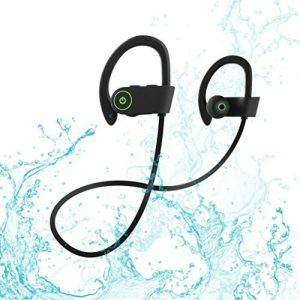 Most sports and running earphones tend to have a waterproof or water-resistant housing to primarily prevent the device from damage due to sweat. There are models with higher waterproof ratings to protect the earphones from sudden rain. Don’t forget to check the earphone you are going to buy is waterproof or not. 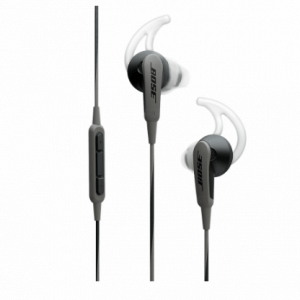 Different earphones for running, especially wireless models come with varying battery lives. There are some models that offer only a few hours of continuous music listening while there are others that provide about a dozen hours of battery life before needing a recharge. If you want to use the earphones not only for running but also for other situations in your daily life, choose earphones with a long battery life. 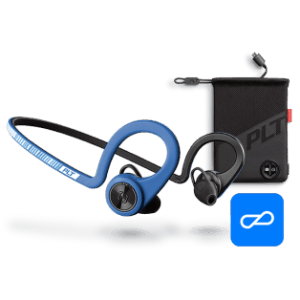 The type of Bluetooth technology used to create a wireless connection with the running earphones and the media-playing device play a significant role regarding the audio quality. Simply put, the more advanced the Bluetooth technology used, the more benefits acquired from the listening experience. Some of the advantages include power efficiency and better audio quality reproduction. Aside from the Bluetooth connection, also check for the codec supported by both devices. 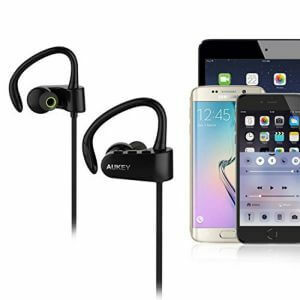 Choose running earphones supporting the aptX codec for high-quality audio reproduction from Android devices whereas choosing AAC is ideal for iOS users. We’ve prepared our list of the best earphones for running in a ranking format by comparing different models based on their fit, comfort, audio quality, and price. Make sure to check out the entire list to help you decide which sports earphones are the right one for you. If you’re a runner on a budget but want to start wirelessly listening to your favorite music, then this is the pair of earphones for you. This neckband earphone presents a decent sound quality while promoting a comfortable fit. The bass performance, on the other hand, is a bit too much but that issue can easily be remedied by lowering the volume. 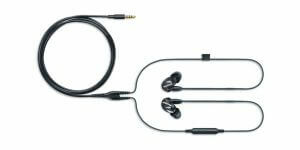 The two earpieces even adhere magnetically for easy storage when not in use. It’s uncommon to see earphones on the market that allows users to fine-tune how their favorite tracks sound, and thankfully this model has that feature. Using the Jaybird MySound app, you can tweak the bass, mids, and highs to your liking. Users should keep in mind that the large size of the earpieces can become uncomfortable during long listening sessions, but you can remedy that with the right ear tips. 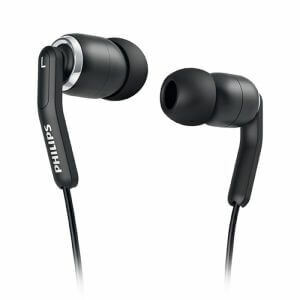 This pair of earphones is ideal for want more flexibility on how they want to listen to their favorite music. 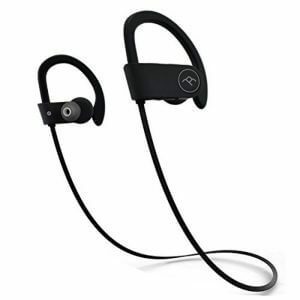 This pair of running earphones comes with differently-sized ear tips, which is common but it sets itself apart from the rest as all tips come with secure fits. Instead, the ear tips prevent different levels of noise isolation so you can easily adapt to the environment. Keep in mind this is a wired model, so the cord can get in the way while you’re running. Still, since you’re getting the audio directly from your media player, the sound quality is better than most wireless earphones on the market. Overall, it’s a great choice for doesn’t want to sacrifice audio quality for wireless convenience. Are you annoyed by running earphones weighing you down? Then you should consider using this model and its 0.01-pound weight. 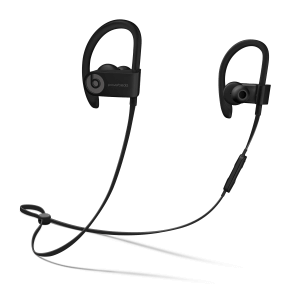 Aside from its lightweight, the sound quality presents a solid bass performance to keep your runs exciting. However, noise isolation can be better because you’ll still hear plenty of wind noise while running. Nonetheless, it still promotes safety as you will hear the incoming traffic and other ambient noises. 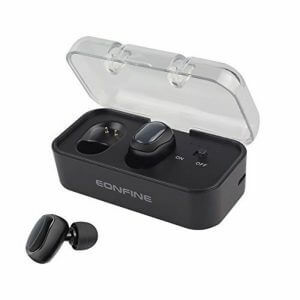 While there are some running earphones on the market that prioritize in giving multiple features to users, this model concentrates its efforts on sound quality. First, there’s an emphasis on bass but it’s both controlled and detailed. As for the highs, they’re clean and detailed. Lastly, the mids are the highlight of this pair of earphones as it’s very smooth to provide the perfect balance to an excellent audio performance. Runners who are also audiophiles shouldn’t miss out on this pair if you want to give your ears a treat. For those who haven’t used Bluetooth devices, paring your music device and earphones might be puzzling. This model solves this problem by mounting W1 chip. If you use IOS device, you can pair your IOS device with this earphones by just turning them on and holding them nearby. Its W1 Chip and AAC support make it an ideal choice for iOS users as it offers excellent compatibility with Apple’s devices. Even though the in-ear design doesn’t create a compelling soundstage, it does offer incredible bass and clarity in different tracks. Some in-ear running earphones promote proper noise isolation, and then there’s this model. 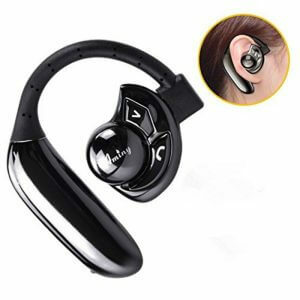 Its earpieces are designed to let some of the ambient noise in so that you can hear everything around you, including your music and traffic. Keep in mind that the bass performance drops when listening in noisy environments. Nonetheless, the lows are still decently performing, which is a surprise considering its “open” design. 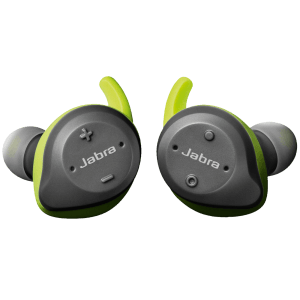 While many earphones on the market mainly focus on listening to music, this true wireless pair lets runners fitness statistics during the activity. The device comes with an in-ear precision heart-rate monitor and a fitness analyzer. Battery life isn’t stellar since it only provides up to 4.5 hours of continuous audio playback, so it might not be good for those who like to run for long hours. Half marathon runners that don’t want to be pestered by annoying cords should definitely look into using this device. 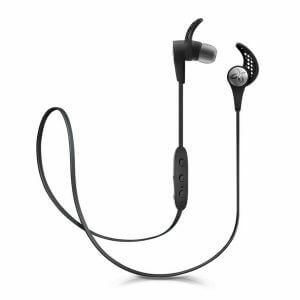 Now that we’ve shown you our guide to choosing the best earphones for running and a list of our recommended running earphones on the market, you should now have a pretty good idea on which product to buy. It’s always important to use the right earphones during your runs so that you can concentrate on the activity instead of getting troubled by using a low-quality device.